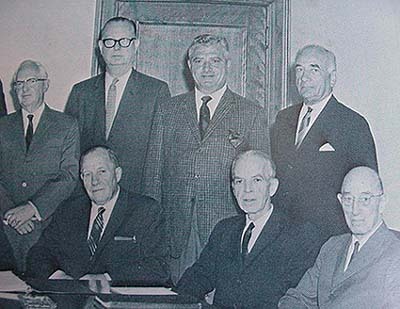 From 1967, photo of the directors of The National Bank of Auburn. seated: Rexford L. Morris (vice chairman of the board Columbian Rope Company), Edward T. Boyle (attorney). H. G. Metcalf (Honorary Chairman of the Board Columbian Rope Company). Metcalf, Harold Grant, Manufacturer. Born Springfield, Mass., Aug., 15, 1882. Son of Edwin Dickinson Metcalf and Carrie Walker Flint. 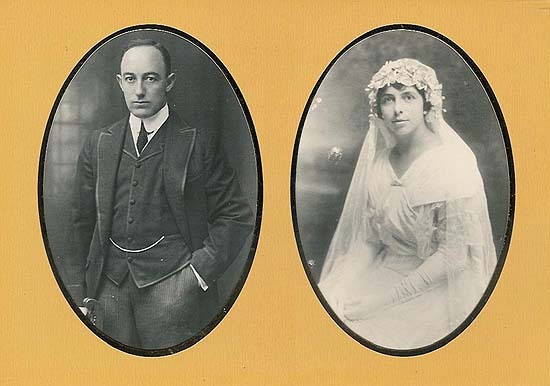 Married Maude E. Nye, Melrose, Owasco, 1914. Children: Nancy Elizabeth, Jean Nye, Carol Flint. Educated Auburn High School 1899; Cascadilla Prep School 1900; Yale 1904. Member Chamber of Commerce (president 1929); Cordage Institute; Jute Manufacturers Asso. : Auburn City Hospital Board. Assistant treasurer and general manager, vice president and president Columbian Rope Co.; president Auburn-Syracuse R.R. 1917-1923. Director Cayuga County National Bank; Cayuga Linen and Cotton, Ltd., Nye and Wait Kilmarnock Co.; Crouse Pope Foundry; vice president Auburn City Hospital. Residence 39 William St. 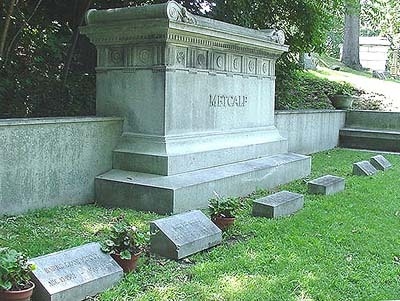 The Metcalf lot is located in the Consecration Dell section of the cemetery.